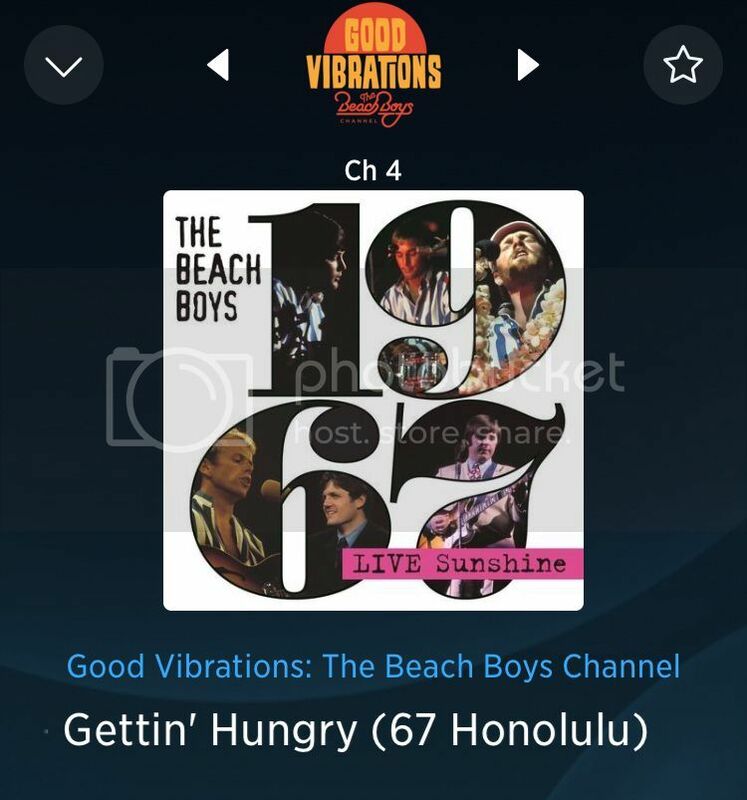 I have to admit I've finally reached the point where I at least switch over to some other channel on the SiriusXM app sometimes when I'm able to play it, as they seem hellbent on repeatedly playing the 45 version of "Cotton Fields", "Surfin' USA", and others over and over and over. It still seems like they're moving a core of a few dozen songs into *heavier* rotation while simultaneously continually swapping out some of the other rare stuff to keep things interesting. But for every "whoa!" selection like Mt. Vernon and Fairway, or playing the entire 3-song "California Saga" uncut, they'll then do a run of like "Fun Fun Fun", "Surfer Girl", "Catch a Wave", and "Surfin' USA" for the millionth time. I've managed to stay pretty fresh on even the core early hits by having *not* played them ad nauseum in the last few years. But I'm already burning out on "Surfin' USA", as amazing of a record as it is. But I'm still digging the channel, still enjoying digging up surprises way too much, and I realize this channel really isn't for the exact time of fan as I am. I went back and looked at the press release for the channel, and the two features mentioned that I haven't seen yet are interviews with Stamos, and the idea of "Guest DJ" segments. The latter could be quite interesting, especially if they bring in someone that doesn't just play their "favorites" that happen to be all tracks from "Sounds of Summer." It's been fascinating to see how the channel shapes my appreciation of the catalogue. I find that certain records endure no matter how often I hear them. "California Girls" sounds good, period. On the other hand, the very early material -- "Surfin' Safari" era -- doesn't hold up under repeated listening. The early (pre-Wrecking Crew) car songs likewise leave me cold. Mike's solo remakes of BB material -- yech. Nearly all of the post Love You material, up to and including SIP, works far better than anticipated. It might be because it's less familiar, but I've heard "Goin' On" a bunch and it continues to rock. One thing I've learned is that I actually started to really like Don't Hurt my Little Sister which used to be a song I disliked. Conversely, I REALLY dislike Finder's Keepers. Until I Die > Mona is a pretty wild tonal jump. Great points. I too am finding the later era stuff to actually be more enjoyable on repeated spins. I really don't need to hear "Heads You Win, Tails I Lose" or "Shut Down Part II" as often as they're playing them, but I don't mind repeats of KTSA material or BB '85 material, etc. By far, the material that comes off worst both on its own and within the broad context of the entire BB *and* solo catalog is "Unleash the Love." I really have to assume it's more producer Michael LLoyd than anyone that's responsible for, at one point while listening to the remake of "Getcha Back", making Foskett sound *so* autotuned that I thought they had replaced the falsetto voicing with a moog-style synth or something. It's *that* bad. "Lahaina Aloha" shockingly *is* a breath of fresh air comparatively. I think I actually enjoy Brian's quick off-the-cuff rendition of "Finders Keepers" in the "I Just Wasn't Made for These Times" doc more than the original recording. 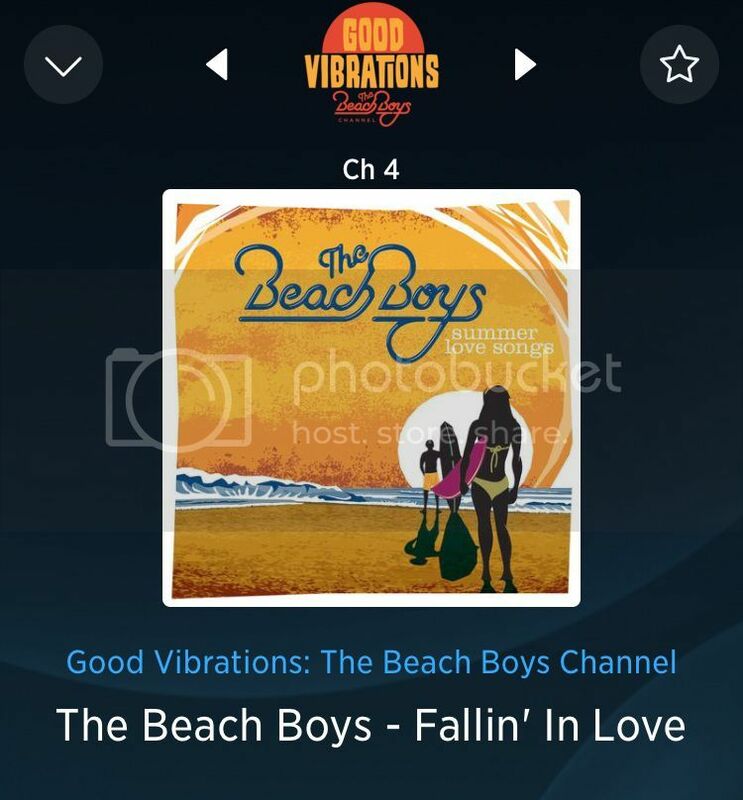 Not trying to invoke a Beatles vs. Beach Boys debate, but hearing them spin a LOT of stuff off the first two albums, while I think there is a bit of a surf/punk vibe worth appreciating, those first couple albums are immensely messier and not nearly as tight as, say, "Please Please Me" and "With the Beatles." Stuff like "Finders Keepers" and "Ten Little Indians" is pretty tough to get through. As I mentioned, the *outtake* "Land Ahoy" actually has more charm (and more melody!). I'll even take "Barbie" or "Luau" over some of the stuff. Also worth noting is that, in cases where there are mono and stereo mixes to choose from, it's surprising how often they go with the mono mix. Me too. When I heard the original for the first time I was sorely disappointed. 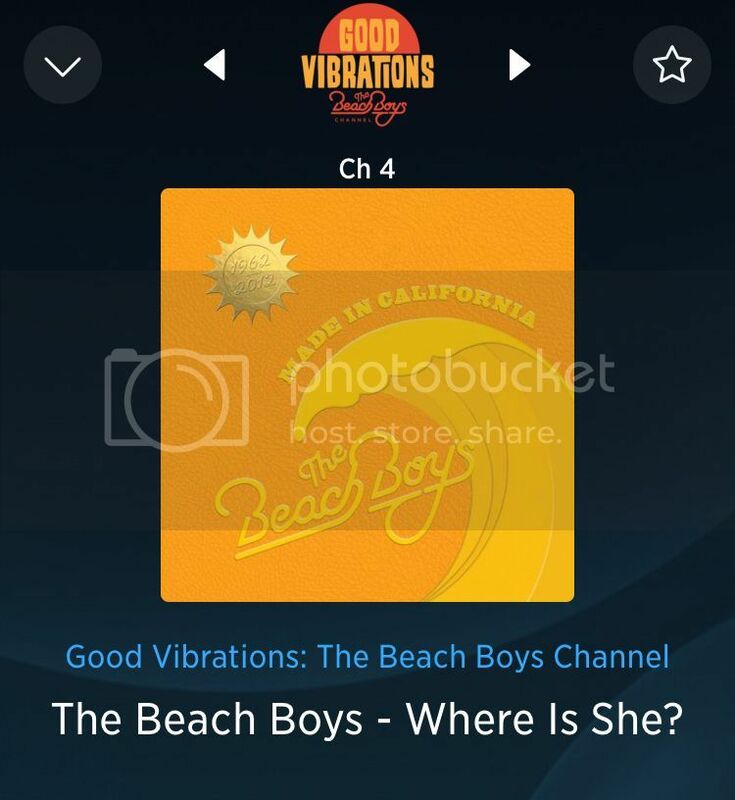 A scary segué -- from "Sail On Sailor" to "Barbie"
I remember, some days ago, they played "Barbie" and "The Surfer Moon" back to back and one can't help but notice the similarities. I'm waiting for them to mess up and play Mike's "Kiss Me Baby" back to back with the original (and/or Brian's live version). They seem to spin the same small group of songs from Mike's "Unleash...", although they do mix in some others occasionally. I heard "I Don't Wanna Know" the other day, reinforcing that even if I'm not like a huge, huge Christian Love fan, Mike should have just used the 2004 version with Christian singing it. I’ve heard that version of “Kiss Me Baby” so many times, I feel like someone is trolling us at this point. How much more of Mike’s robo-children do they think we can take? Finally heard Rhonda Live from the 1973 Live collection. It was the version from the enhanced CD, just a tweak or two from the original. Love that CD. As I arrived at my destination they played Cuddle Up. Glad I was parked - couldn't drive with that playing. So beautiful. Also heard Cuddle up, followed by Carl's The Grammy. And A Day in The Life of a Tree earlier and Brian's There's So Many. Great track list today. And just logged back on after a few hours off, and the first song plying is Cuddle Up! 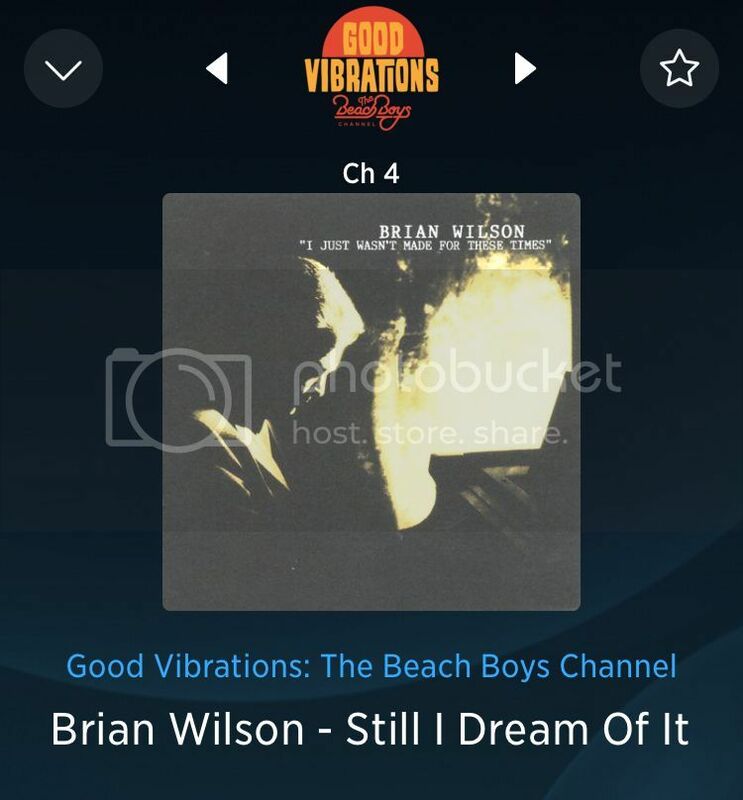 Nice.....I think there are a lot of people being turned on to not only great music, but Dennis Wilson music! An now for the second time Carl's I Wish for You. Again, great tunes today....one of the best days I've heard since the channel began. Great job Serius! Agreed, I was listening during this sequence as well - first time I've heard any of those tracks played. Also heard "Surf's Up" from BWPS today, followed (jarringly) by Kokomo. They played Sharon Marie's "Run-Around Lover" with an introduction from Mike. Edit: Just heard Jan & Dean's "Surf City"
Seriously, I'd actually pay for a remixed version of "Summer in Paradise" that removes that same gawdawful snare drum sample they use on everything. Even just retrigger it with a better-sounding drum sample. I haven't often lately played the entire SIP album front to back, but it's startling how there's self-copying within the album itself, with "Still Surfin'" and "Lahaina Aloha" having very similar tempos and drum samples, etc.